D3HXQ36UDJSH A warning to all Bank of the Philippine Islands users... 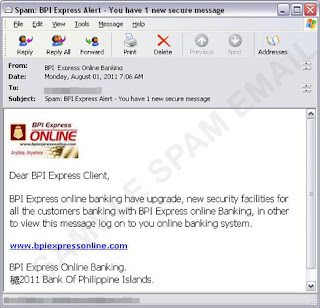 Trend Micro has identified a new Phishing scam going around. Please DO NOT click on any links found in your email. Go directly to BPI's website. An Expensive Mobile Phone Purchase.